Marco's Stuff: Anyone Sick Of These Yet? Anyone Sick Of These Yet? nice stuff, tell me: you bought this piece of electronics just for this painting app didnt you. Haha if you squint your eyes the bottom middlle one looks like the side view of a person! I want a iphone like yours for christmas!. 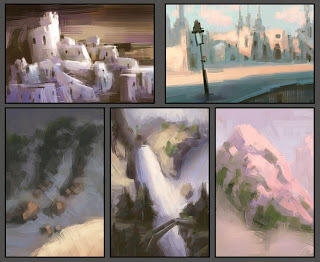 .Your style and colour process is awesome Marco . Tired of em? No. Keep em coming! Jose - don't go all the way out and get the iPhone. Get the iTouch instead (unless you actually want the phone too). It's cheaper and does exactly the same thing. Keep 'em coming. itouch or no... I'm happy to see 'em. aaagggghhh. how are you doing these??? i can't even draw a stick figure on my iphone. beautiful sketches!! Happy new year! ooh these itouch posting are awesome! ithouch or not, i really loved all these sketches!